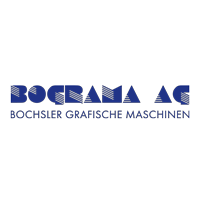 At the Hunkeler Innovationdays BOGRAMA and HUNKELER Systeme AG are going to present a new combination solution for creative die-cut products from roll or sheet. The digitally printed paper web is unrolled on the Hunkeler unwinding module UW6 and fed to the cross cutting module CS8. Here, the up to 22″ (560mm) wide paper or half carton web is cut into B2 size sheets and fed to the rotary die-cutter BS Rotary 550 Servo of Bograma. A personalized premium flyer is die-cut in double flow.